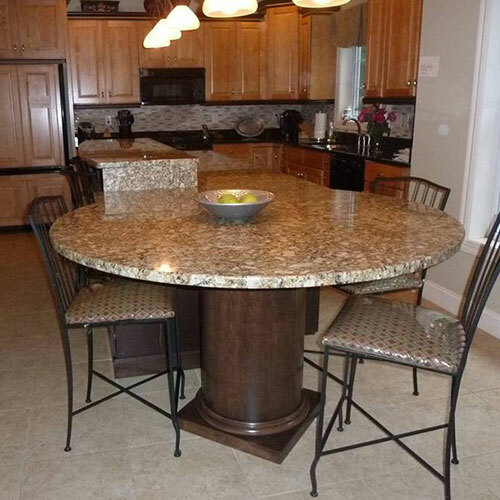 At Turntech, our devotion to classical pillar construction and attention to detail is absolute. Thanks to our workmanship and high standards, we produce impeccable wood columns, pillars, and porch posts to meet the individual needs of each and every client. 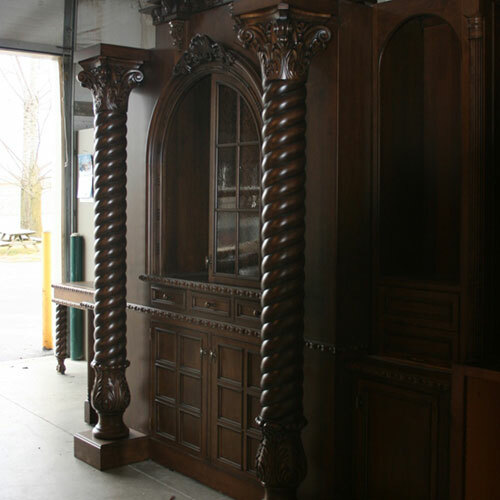 From massive exterior columns to decorative interior columns, our custom wood columns, pillars, and posts are designed to look wonderful and last for generations, just like the classical columns of old. The columns holding up your porch roof can be functional, decorative, or both. In terms of aesthetics, however, your custom porch columns should be shaped correctly, properly scaled, and feature historically appropriate architectural details. Many custom pillars and columns have roots dating back to Greek or Roman antiquity and the “Classical Orders of Architecture.” Here’s a look at some of the most popular types of classical columns still being created and admired today. The Tuscan order is another popular Classical Roman architectural order whose influence can be seen in the custom porch columns of Antebellum mansions and homes from Maine to Washington state. Tuscan columns resemble Doric columns, except they feature smooth shafts, making them simple yet elegant and refined. This is one of our most popular styles that we make. Doric columns are the oldest and simplest of the column varieties developed in ancient Greece. Featuring fluted shafts and plain capitals, they can be found on the Lincoln Memorial and other public buildings throughout Washington D.C. and the rest of the Western world. Despite being used for thousands of years, these fluted columns remain a popular option for today’s homeowners, businesses, and architects. More ornate and slimmer in profile than Doric fluted columns, Ionic columns were also introduced and popularized in Ancient Greece. A defining characteristic of these interior or exterior columns is the scroll-shaped ornaments, or volutes, that sit atop their capitals. If you’ve ever visited the Jefferson Memorial in Washington D.C., then you’ve witnessed Ionic columns first-hand and know how grand of an entrance they can create. Corinthian columns are the most lavish and decorative of the columns constituting the Greek Order. They are more elaborate and complex than both Doric and Ionic columns, so exterior or interior columns made in the Corinthian style are perfect for anyone who appreciates artistry and attention to detail. The New York Stock Exchange Building in Manhattan is a showcase of how splendid these columns can be and proves there are few things in life more magical than a Corinthian Colonnade. The Romans combined aspects of the Corinthian and Ionic architectural orders, resulting in the creation of the composite style. Like all other types of classical columns, we specialize in making composite wood columns to accentuate the façades of homes and buildings across the U.S.
Why Choose Turntech Wood Columns and Posts? 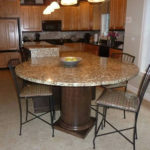 At Turntech, we specialize in making custom wood columns, pillars, and posts for clients big and small. 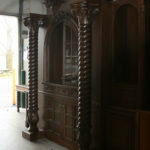 Our skilled craftsmen utilize old-world craftsmanship and state-of-the-art computer driven machinery to create exceptional custom pillars and porch posts for builders, contractors, businesses, and DIYers alike. Many of our products are made at our facility in beautiful Lancaster, PA. The Pennsylvania Dutch are known throughout the world for their craftsmanship and commitment to excellence. We are no exception. From premium quality turnings to custom pillars and porch posts, we not only do it all, we take great pride in crafting custom wood products that are second to none. Whether you need one beautiful custom wood pillar or several hundred, our experienced sales team can help you design exactly what you’re looking for. Contact us today!